From Goodreads.com:After winter break, the girls at the very prestigious Longbourn Academy become obsessed with the prom. Lizzie Bennet, who attends Longbourn on a scholarship, isn’t interested in designer dresses and expensive shoes, but her best friend, Jane, might be — especially now that Charles Bingley is back from a semester in London. 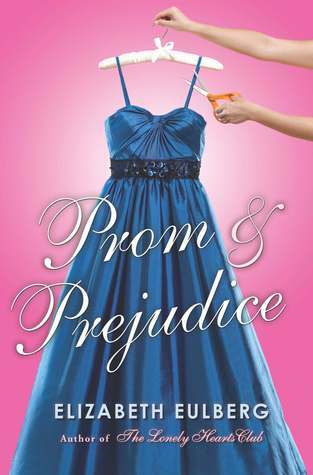 This is a great high school age retelling of Pride and Prejudice by Jane Austen. I saw this reviewed on Clean Teen Books and had to read it. I love Jane Austen! Lizzie Bennet attends a prestigious all-girl boarding school. Lizzie is an amazing pianist on a scholarship; I enjoyed all the piano references since I play the piano. She’s surrounded with girls that didn’t need a scholarship to attend an expensive school and faces some bullying because of it. I enjoyed this story of pride and prejudices that have to be overcome to find love. I've never heard of this one. I'm excited to go read it!